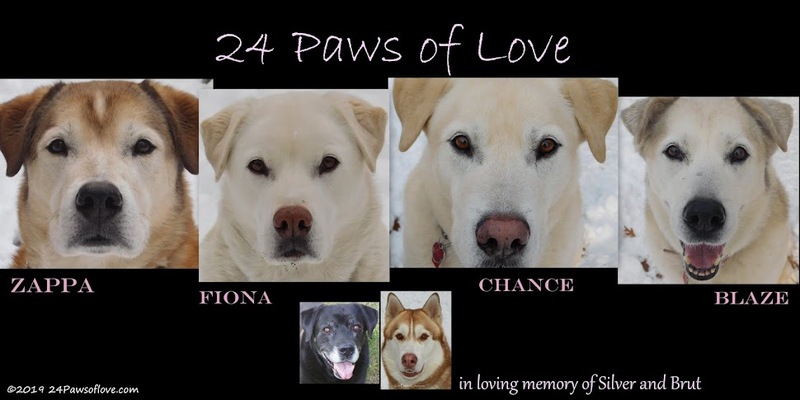 24 PAWS OF LOVE: PLEASE HELP ME BLOGGERS!!! We've missed out on a couple of weeks of dog sledding. The weekend before last we took a break from it and then this weekend the snow was too heavy and thick to run through even with two dogs. So instead I came up with the "brilliant" idea to pair up a Front Dog and a Back Dog for a walk and see how things go. It was a complete disaster! The dogs were fine, no fights, scraps or contact, but walking them with my husband was a whole different story. See my husband lets the dogs walk any way they see fit. And for the last year I haven't been able to walk the dogs very much due to some physical problems. Which means most of my training, especially with Chance and Blaze has went right off the leash. Even walking a dog while walking with my husband, the dogs feel they have the right to walk how ever they please. And when Chance wouldn't stop hauling me down the road, I thought I was going scream or cry. He's never done that to me before regardless that we were walking him with Fiona. It was beyond ridiculous. It was down right miserable. So I had to cut my husband off from walking any dogs with him. I will have to start all the way at step one and try to train the dogs all over again. It isn't all my husband's fault, but they are definitely worse when he is around. I really struggle with consistency and flexing back and forth with what is acceptable walk, tension and speed. Some of you may remember that I've been in this same spot before. I don't know why this issue is so difficult and daunting for me, but I will try, try again. If anyone has ANY tips, I would love to hear them. -want some tension, but not to pull (is this possible) and not knowing where to draw line. Tolerance level is different some days than others. PLUS, I tend to not pay attention when there is tension on line because I'm so used to it. -have no pull head halters, use for a while then feel guilty for using, or don't train right the first time and dogs still pull using it. -Pulling dogs. I taught them to pull almost at the same time they were learning to walk on leash, there's not much a difference between the two. -Strong willed dogs. I've given them every reason because I will eventually cave so they push it to the limit. Especially Brut, he definitely knows my weak points. -My biggest setback is that I want to go for a walk. Not train. I really want to walk with dogs and training takes too long. This is when I start slipping and giving in. -My method has been when dogs pull, I stop and wait for them to sit and give eye contact. Then I give walk command. They will still pull and I may or may not stop them again. -I feel guilty for having to train the dogs at all. I never had to train Silver, she just did it. So I really don't have a lot of practice. We both want to go for a walk and if training we may be stuck in the driveway or on the road in front of the house. -I mentally and physically can't take it anymore. I've doing it this way for so long when I was handed my first dog leash that I don't know any other way. So I am asking you please, any suggestions, advice, ideas, ANYTHING you can give me would be much greatly appreciated. Lay it on me. I need a fresh approach. We can't help as I pull like mad to get to the park and I am no longer allowed down pussycat alley as peeps wants to keep both arms. We are sure someone will have some good ideas. Have a marvelous Monday. I hope you're only walking one dog at a time right now. It will make a big difference in how you're able to interact with them. I would say that you need to take a formal obedience class with them. It can be a great bonding experience and it has huge payoffs. BEFORE you take a walk, spend five minutes walking somewhere, the house, the yard, wherever and do some quick obedience drills. Ask them to sit when you stop and give them a few basic commands. It will wake up their brains a little and it's good for them. When you go out on your walk, have a signal for when you want attentive heeling and another for a more at ease kind of walk. It may be how you hold the leash along with a verbal command. Your whole walk doesn't have to be an obedience lesson, but spend a couple of minutes on it every once in a while while you're out. It will have big payoffs, but unfortunately, there's no magic wand to getting good behavior from your dog. Houndstooth has some great training suggestions. I'd like to add a management suggestion. Instead of a head collar, have you tried a front fastening harness? I got an Easy Walk harness when my dog Shadow was pulling hard enough to make my hands bleed. I love it. The chest harness tends to work with less preparation than the head harness. And it won't hinder their pulling when you get back to the sled. Best of all, your husband can use it to walk the dogs without hindering your training. Good luck. I've had similar setbacks because my husband isn't as committed to training as I am. It's frustrating. There are some great suggestions here. May I add my 2 cents? Don't cut your husband out of the process. The dogs win any divide and conquer game. Train him along with the dogs so that he trains like you do--same style, same words, same tone. Momma had to do that with dad as he is a pushover. Training is a fun game for dogs and well worth the investment of yourself; don't give up. We all hate those kids in the grocery who parents have given up on them; you don't want your babies to be out of control. 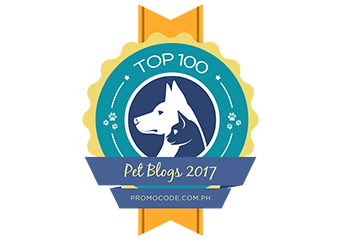 They love you and trust you and will respond to positive reinforcement whether the treats are verbal and petting or food. Making them sit and recoup everytime they pull is exactly right. Also set goals...if we get to the stop sign without pulling you get a treat! Then tell them what they have done right and reward them for it before starting the next leg. You are an excellent trainer and even the best must go back again and agian to relearn the basics. Remember my story of Siku breaking away from Steve and running all the way home from the groomers? She absolutely knows the commands to stop, wait, and come but after that day we went back to her being leashed and practicing those commands over and over. You can do this as a family and every one will benefit; I know it will turn out brilliantly.